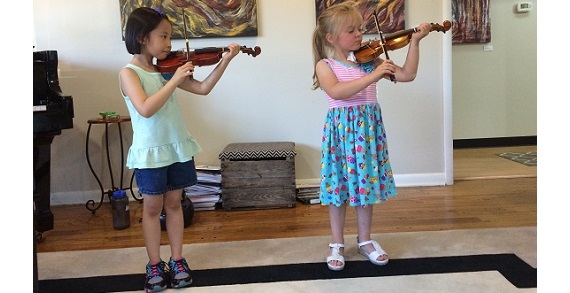 usic Palette provides private instruction in Piano, Voice, Violin, and Composition for kids and adults. 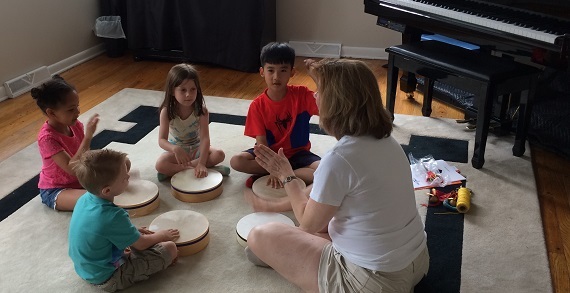 Music Palette also offers Musikgarten, early childhood group music classes, up to age 6. MUSIC PALETTE 2018 SUMMER CAMPS! perform at the end of the week. This class will be taught by Bobby Phillips. Contact Music Palette about childcare pricing for before/after camp. of songs and learn new skills! This class will be taught by Bobby Phillips. In this 8-week class, beginner students will learn to read basic rhythms, melodies, and chords in order to play for person alenjoyment or for family and friends. Students will also learn some basic theory, applying it to music by doing some simple harmonization, transposition, and improvisation. This class is open to students with no prior music experience as well as those who would like a beginner refresher course. This class will be taught by Esther Upham Aluoch. Your child will explore harmonies, sing melodies, learn to improvise, compose, and more in this one week Intro to Music Makers Keyboard class! Play, sing, dance, create, listen and move each day! This week of developmentally appropriate activities, uniquely designed for your child, will establish a strong foundation for beginning piano. What to bring to camp: Packed lunch with an ice pack. Water bottle with camper's name on the label. Pack additional snack for snack time. This class will be taught by Amy Rucker. Music Palette's full-day summer music camp, Camp Grand Tour!, offers students the ultimate music experience! Students will learn the fundamentals of rhythm, notation, and keyboard geography. Activities will include music instruction, music appreciation, demonstrations by visiting professional musicians, and crafts--all leading to a final presentation at the end of the week for family and friends. No prior music experience needed. This class welcomes complete beginners as well as those with prior music experience. Each day the campers will have a picnic lunch outside (as weather permits). One of the camp days, campers will walk to Capital University to have lunch by the fountains, followed by ice cream at Graeter's (included in tuition)! Each Camp Day has a theme: Peter and the Wolf, The Story of the Orchestra, Jazz, Carnival of the Animals, and Beethoven. What to bring to camp: Packed lunch with an ice pack. Water bottle with camper's name on the label. Pack additional snack for snack time. This class will be taught by Jessica Heitmeyer. Your child will participate each day in singing, playing and making instruments, learning harmonies, and creating ensembles. Imaginations will take campers to the seashore through stories and creative play! What to bring to camp: Packed lunch with an ice pack. Water bottle with camper's name on the label. Pack additional snack for snack time. This class will be taught by Amy Rucker. Looking to learn just enough to play around the campfire? Campfire basics class will teach you the fundamentals of chord playing. Join Music Palette for this fun class and get ready for some outdoor musical entertainment! This class will be taught by Bobby Phillips.